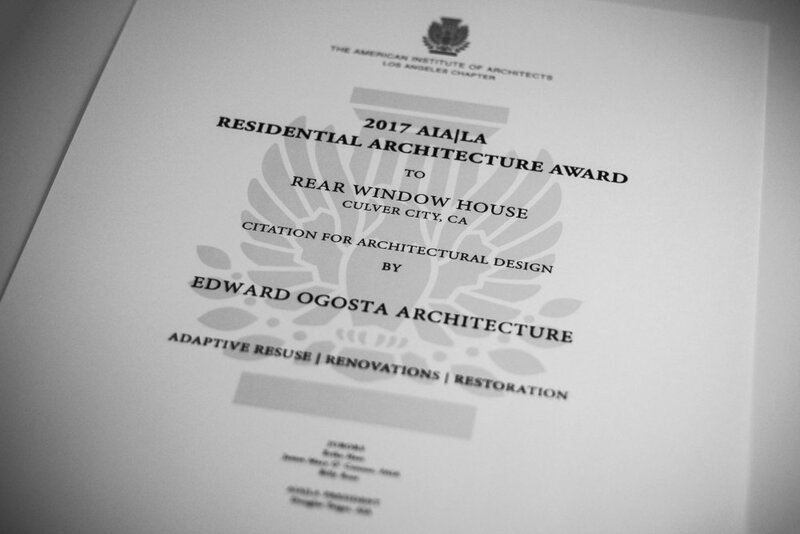 We're excited to announce that our Rear Window House in Culver City has received an AIA Los Angeles Residential Architecture Award Citation in the Renovations category. The jury praised the design's "simple, almost Danish Modern sensibilities" at the awards gala last night. We're so honored that our project gained this recognition!